With e-commerce sales seeing double-digit growth year over year, many are predicting that online purchases will soon overtake physical transactions. But we here at Ecwid aren’t buying it. Why? One word: omnichannel. Consumers these days are using multiple channels and devices in their buying journeys. They’re browsing e-commerce sites, they’re shopping on online marketplaces, some are even buying through social media. As for brick-and-mortar? Well, physical shops continue to play a big role in people’s retail experiences — 90% of all transactions still happen offline. This is why we firmly believe that retail success isn’t about online vs. offline selling. Ultimately, the retailers who will win are those who can keep up with their customers no matter what channel or device they’re using. 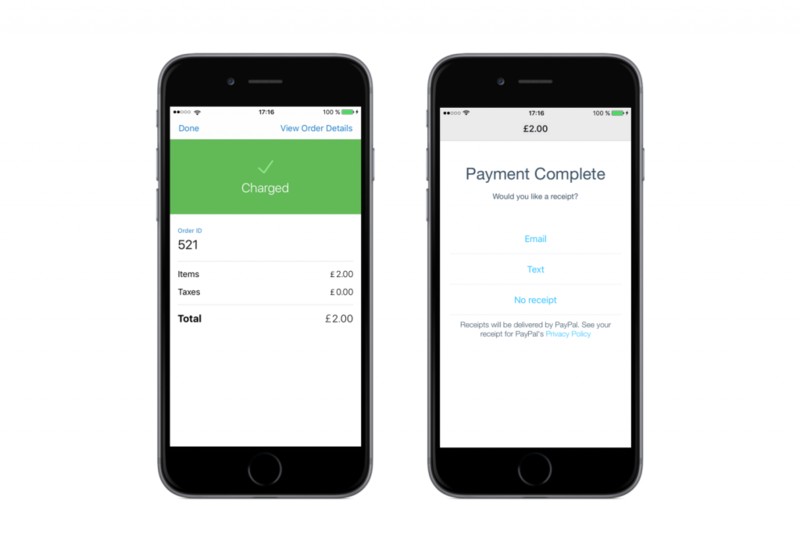 And with that, we’re thrilled to announce that Ecwid’s integration with PayPal Here is now available in the UK. Developed specifically for UK merchants, this solution lets you sell offline effortlessly using your iPhone or iPad. No need to set up complicated POS systems — simply use the PayPal Here app and its accompanying card reader, and you’re good to go. One of the best things about this integration is that it allows you to run your business on the go without a hitch. Sell simultaneously in person as well as on your site(s), mobile phones, social sites and online marketplaces without having to deal with different platforms. Plus, inventory and order data are synced automatically so you won’t have to worry about manual data entry or information discrepancies. Ecwid handles all that for you, so you can focus on selling your products and keeping your customers happy. Selling on the go requires just two things: The Ecwid Mobile app and the PayPal Here card reader. Below are the simple steps to get started. Download the Ecwid Mobile app from the App Store. Go to the app settings and connect PayPal Here. Plug in the card reader and start accepting payments! Click here for more details on how the integration works. Selling with Ecwid and PayPal costs just a fraction of what you would pay if you opt for a traditional POS. The app itself is free, and you just have to pay for the card reader which costs £55.00 with the discount code OFFER020 (£20 off the original price). Do note that you need to be on a paid Ecwid plan to use the integration. If you’re an Ecwid customer on our Free plan, click here to upgrade. Not an Ecwid customer yet? Sign up here to get everything you need to sell online, on mobile, or in retail. And if you want to test-drive our solution, you’re more than welcome to take a free trial. Take the Ecwid Mobile app for a spin and see if it works for you! In a nutshell, PayPal Here allows you to get paid wherever you do business — in your store, at an event, on a mountain, and anywhere else your customers may be. 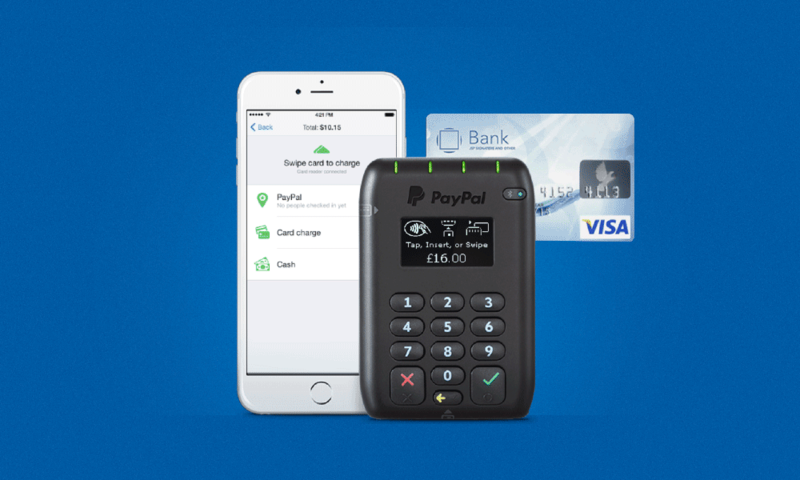 With the PayPal Here Card Reader it’s easy to accept card payments everywhere. And with no fixed term or monthly fees, all you need to do is order the card reader and you can start selling on the go. If you’re an online merchant thinking about taking on the High Street, there’s no easier way to do it than through Ecwid and PayPal Here. Convenient, affordable, and a cinch to use, Ecwid and PayPal Here can help you open up a new revenue stream without complicating your operations or reporting. *Subject to application approval. Terms and other fees apply.